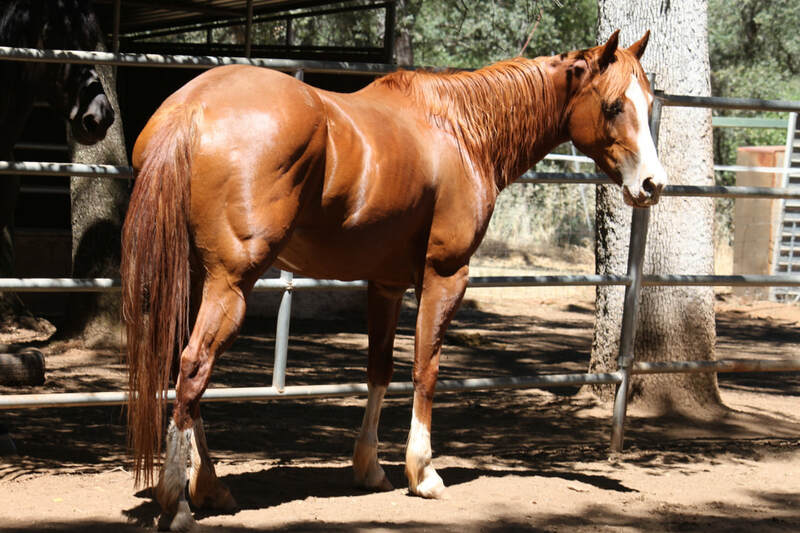 Shelby is a 6-7 year old QH-type mare that came to AAE in April of 2017 when her new owners realized they did not know enough about horses to provide proper care. They had taken her in after she had been abandoned in their neighborhood. When we arrived to pick her up, it took about 2.5 hours to earn her trust and place a halter on her. She was fearful and reactive, and acted as if she'd been abused or otherwise mis-handled. She was in fair condition, but had several abrasions across her body.